Hey Everyone! This month the Blog Hops with Heart are using a photo for inspiration. If you came from Amie's Blog, you are in the right place. 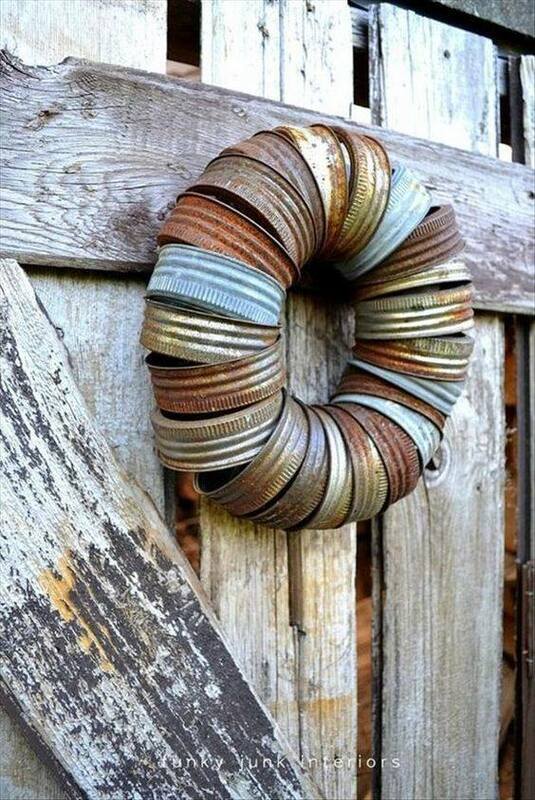 We are using this beautiful rustic photo from Funky Junk Interiors as our inspiration. I used the photo for inspiration, and adapted it to my style which is not very rustic, lol! 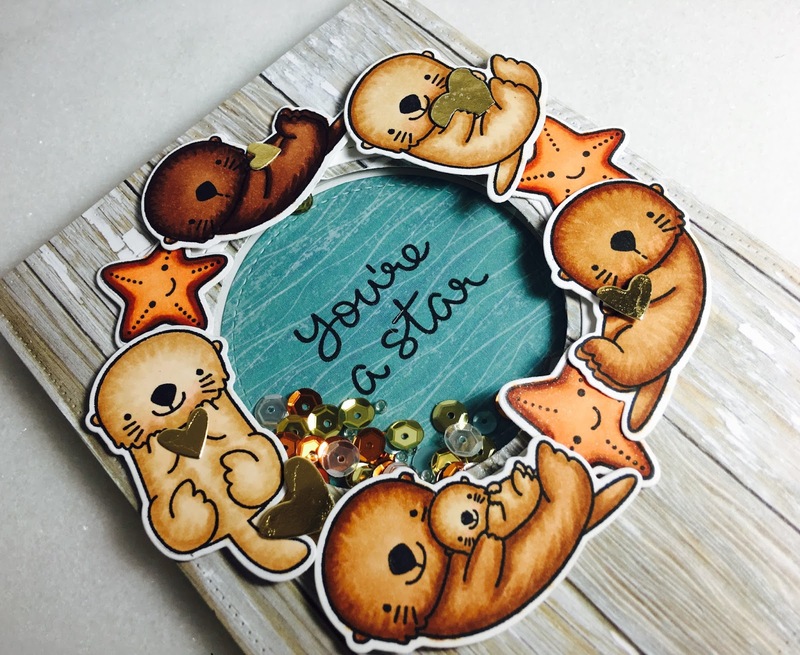 To make my card, first I used Lawn Fawn Small Stitched Circle dies to cut a circle out of this gorgeous wodgrain paper from the No Worries Paper Pack. I used the super cute stamp MFT Otterly Love You and MFT Otterly Love You dies. I combined it with the So Jelly stamp and So Jelly dies from Lawn Fawn, and some hearts with the Lawn Fawn Hearts as well. I colored all the images with Copics, and made it into a shaker card. This was such a fun card to make! 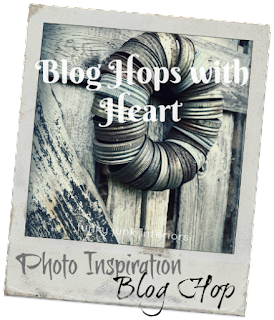 Next on the hop is Becca's Blog, you won't want to miss her take on this photo!